Spain is known for many things, but their exquisite Jamon (ham) is a staple of the nation’s culture and cuisine. 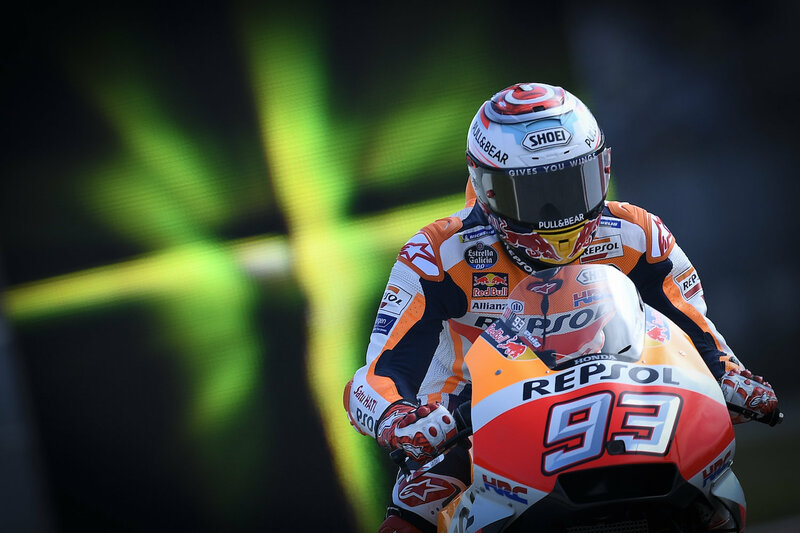 Oddly enough, that's the role that Honda's Marc Marquez played at Saturday's MotoGP qualifying, as the Spaniard was sandwiched by the two Ducati's of Jorge Lorenzo and Andrea Dovizioso who conquered first and third place. Saturday's pole marked Lorenzo's first pole position since Valencia 2016, as well as his first with the Italian outfit. It appears that Lorenzo's fortunes seem to be turning around at Ducati following his triumphant victory at Mugello just two weeks ago, further making his recent announcement that he'll be leaving Ducati at the end of 2018 even more awkward for the team. 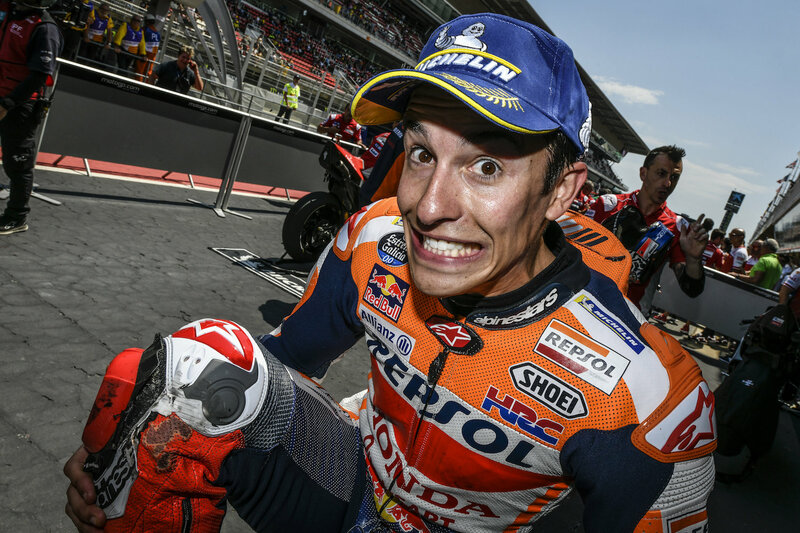 As it's expected of Marquez, the diminutive rider manhandled his Honda motorcycle like his life depended on it, oftentimes using his knees to keep himself upright on the corners. But at the end of the day, it was a stupefying six-hundredths of a second that separated him from Lorenzo. 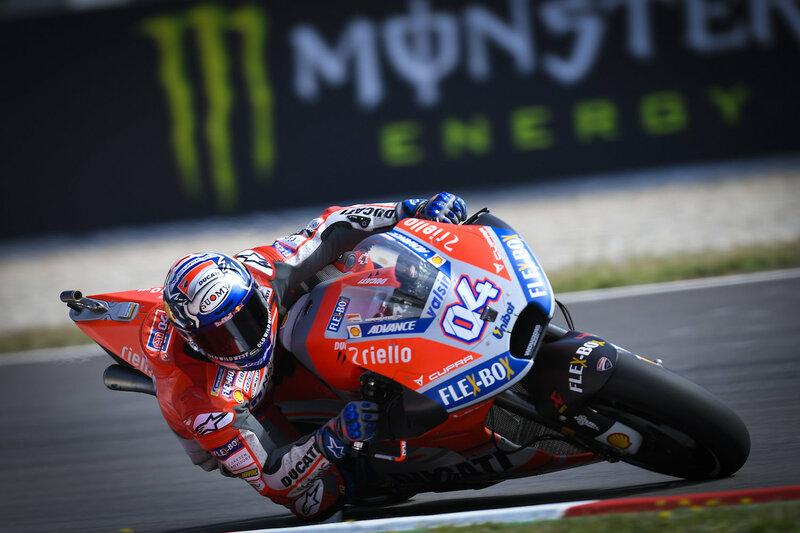 Behind him will be Lorenzo's teammate, Andrea Dovizioso, who will be ready to pounce and benefit from the slightest of clashes between Marquez and Lorenzo. Further down the field, it was the Yamaha of Maverick Vinales that placed fourth and narrowly missed out on the front row, with Andrea Iannone in fifth place and soon to be factory Ducati rider Danilo Pettruci rounding up the top six for tomorrow's starting grid. Fan favorites Valentino Rossi and Johann Zarco experienced a less-than-favorable qualifying session and could only place their speed machines on seventh and eighth place respectively. 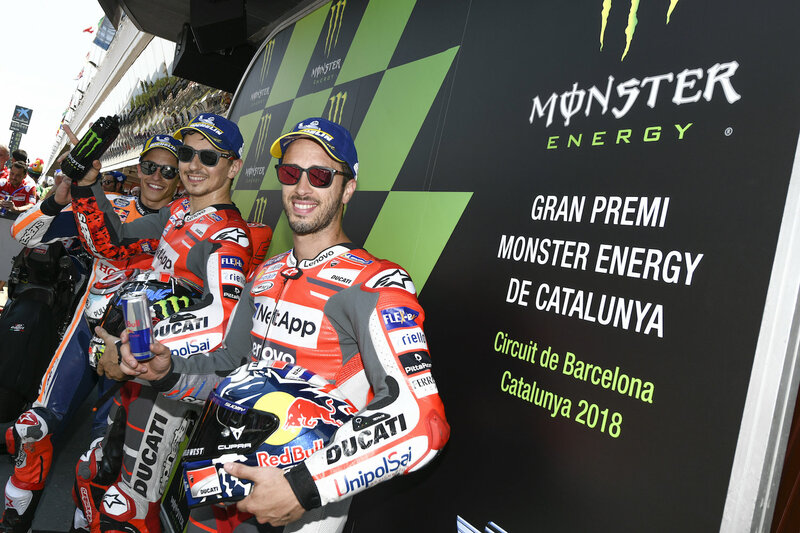 Will Sunday's Spanish Grand Prix be the moment that every MotoGP fan has been waiting for, when two soon-to-be teammates equipped with top-notch rides battle it out in front of their home crowd? One thing is for sure, with attitudes soaring even higher than ambient temperatures: Tomorrow's race will surely be a scorcher in more ways than one.